Planning is a process that begins with a desired goal in mind. At LeRoy Wealth Management Group, we strive to help you through this process by coordinating your goals with the complex pieces of your financial life that surround them. To ensure your success, we not only provide you with a customized financial plan, we see it through to implementation. Our relationship will empower you to focus on the things you value most, while knowing your financial future is secure. True financial planning begins with where you are today, defining where you want to be and how you want to live your retirement years. Our unified approach starts with a clear understanding of your goals and objectives. We then map a strategy to get there and ensure that you stay on course. Will you outlive your income or will your income outlive you? The first step towards a secure retirement is analyzing what retirement means to you. Our comprehensive retirement planning process begins with a review of your current plans and a discussion around your specific goals and desired lifestyle. Then we look at your available resources and a variety of other factors that are important to achieving your long term financial goals. We then prepare retirement modeling, putting your plan through various stress test scenarios. This helps us design and recommend distribution techniques for your qualified plans, personal investments and real estate and social security. It's More Than Just a Will or Trust. Our in-depth approach to estate planning starts with a thorough review of your current documents, followed by feedback from our professional staff comprised of estate and income tax specialists. We will confirm your current planning is sufficient based on your goals or assist by designing a comprehensive strategy to help protect and distribute your assets efficiently and provide management. As a business owner, we’ll help you design a successful transition or exit from the company you’ve worked hard to create. We begin by clarifying your goals and reviewing your current business plans. After a thorough evaluation, we will recommend the appropriate strategies and structures to ensure a successful transition upon your retirement and to maximize value to your heirs and beneficiaries. For many business owners, fringe benefit planning can be an important element of your employment retention strategy. Whereas for many successful individuals, these benefits often represent a significant financial asset and an integral piece of your overall financial plan. We begin with a concise review of your current benefits package, savings and investment plans, followed by an in-depth analysis of your pension and retirement options. Whether you are an owner or employee, we can help you better understand your available options and ensure you’re maximizing these benefits. It's not just an insurance policy. Insurance planning and risk management is a key component of one’s overall financial plan. We review and analyze your current insurance contracts and appropriate personal and business insurance needs. If necessary, we can help source and implement the appropriate coverages and strategies in the most tax-efficient and cost-effective arrangement for you and your beneficiaries. We ensure coverage remains appropriate as situations change over time. It's not just investment products. Our integrated planning approach ensures that the investment strategy we create is in alignment with your overall financial plan. As an independent firm, we’re not limited by any proprietary products or strategies. This allows us to focus on providing unbiased recommendations based on your specific goal and needs. As part of your overall financial plan we will review and evaluate your current tax planning efforts and recommend strategies that focus on reducing taxes and increasing cash flow. 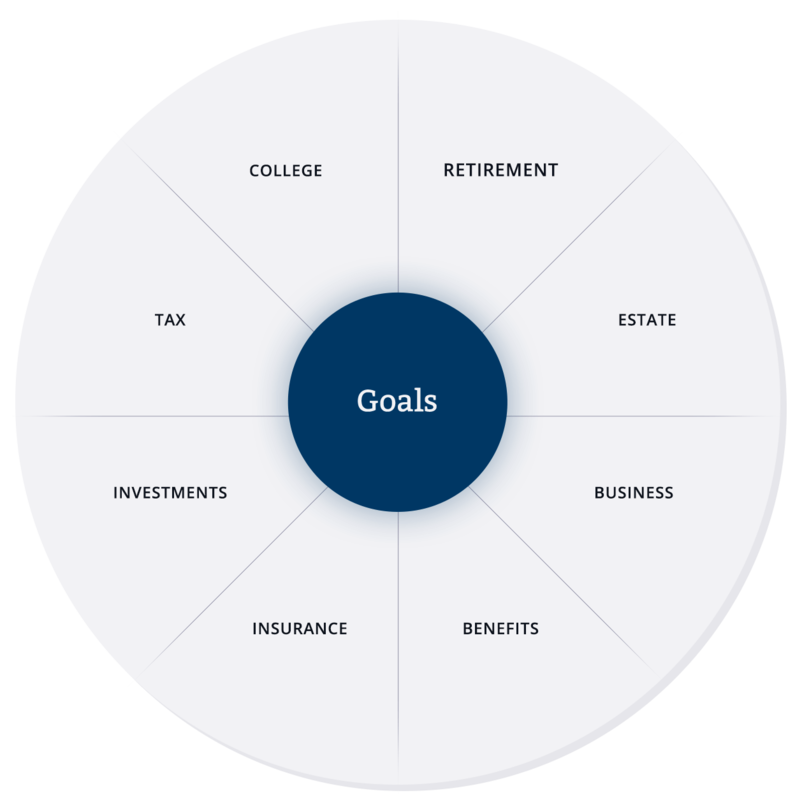 We will help implement these strategies and coordinate them with your estate, retirement, investment or business plans. It's more than a savings plan. We start by analyzing your projected college costs and evaluate your existing funding program for its time horizon, potential risk, and potential return. From there, we determine an appropriate savings and investment program for each child, which we can help implement and monitor from start to finish. independent financial planning firms in the country. John is the founder of LeRoy Wealth Management Group at Summit Financial, LLC, a premier independent financial planning and advisory firm. He is a Principal of Summit Financial, LLC and sits on the firms Investment Committee as well as their Advanced Planning Committee. John is a CERTIFIED FINANCIAL PLANNER® professional with over 25 years of experience working with high net-worth individuals and their families. His clients include CEO’s and executives, senior wall street professionals, private business owners, Entrepreneurs and physicians. Karen is John LeRoy’s Executive Administrative Assistant with more than eighteen years of experience in the financial service industry. Karen earned a BA from Fairleigh Dickenson University and started her career working at DLJ Direct in the Operations Department before working at A.G. Edwards as a Sales Assistant. She joined the LeRoy Wealth Management Group in 2002 and her specialization in client services means that she has the knowledge to provide world class service that our clients deserve. Karen’s responsibilities include answering client inquiries, implementing account changes, and processing investment and insurance paperwork. Karen and her husband, Bill, live in Denville with their son, Jake. In her free time, she enjoys yoga, running, and spending time with her family. Nick Villano is Director of Operations with LeRoy Wealth Management Group. With five years of experience in the financial services industry, Nick works alongside John LeRoy in structuring comprehensive wealth solutions for high net-worth individuals and families. He works closely with attorneys, certified public accountants, insurance specialists, and investment managers at Summit Financial, LLC to ensure that each plan is executed to our client’s satisfaction. In addition, Nick is responsible for creating and maintaining affluent client relationships and implementing business development strategies for LeRoy Wealth Management Group. Nick is an alumnus of SUNY Cobleskill and holds his Series 7 , Series 66 and Life & Health Insurance Licenses. Director of Sales & Development.